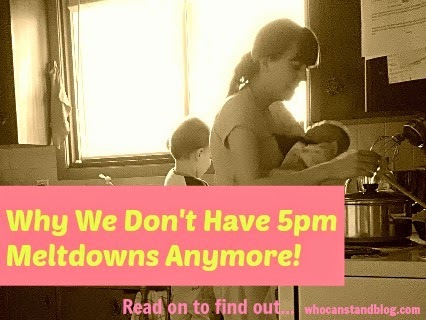 It's 5pm, your toddler wants your attention, your newborn is crying, and you have no plans for dinner - sound familiar? It was an all too frequent occurrence in our house! At this point you can blow the grocery budget by eating out, or deal with the stress of coming up with something to eat, making it, eating late and by that time everyone's really cranky (or at least all of us who aren't Andrew - he is cool as a cucumber no matter what!). We all know the BEST way to really deal with the 5pm meltdown is to PREVENT it! This past January, two things changed in our house: first, we gave birth to our darling Elisabeth, and second we subscribed to Build A Menu. And let me tell you - the latter has made a world of a difference in dealing with the former! I can honestly say that since having Elisabeth we have had WAY less 5pm meltdowns than before she was born! My dinnertime prep with two children has been easier than when I had one! How does this work, you may ask? I'll tell you! Each Wednesday I log into my Build A Menu account and select my grocery store. This is an awesome feature for those of you who live in the USA, because they update their meals and prices for that week based on the sales at whichever store you shop at. (There is also a generic option if you don't use any of the stores listed - for us Canadians I think the only specific option is Wal-Mart). After that is when the fun begins! You can choose from a number of different categories: Dinner (the one I use most), Desserts (our second most used one), Breakfast, Snacks, etc. And then for each of those you have a whole BUNCH of different options for meals! The ones I choose from most are Dine-on-a-Dime, Slow Cooker Meals, Family Friendly, and Manly Meals. 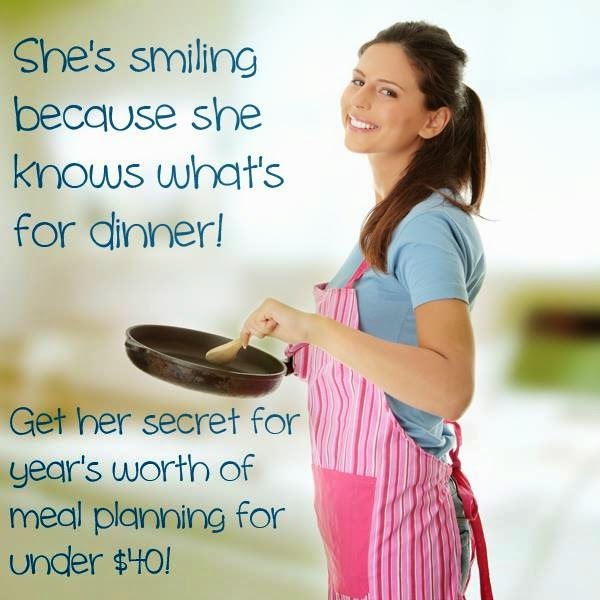 There are also options for Gluten-Free, Clean Eating, Vegetarian, Trim Healthy Mama and many more. You're welcome to mix and match as much as you'd like, and can save which meals are your favourite. My favourite thing about Build A Menu is how easy the meals are. Most dinners consist of two or three lines of instructions and are made up of basic ingredients. We're on a pretty tight budget these days, and I really appreciate being able to make delicious, tasty meals without having to go out and buy special ingredients every week. As well, with two little ones underfoot, part of what is keeping things sane around here is making simple meals. So each week, I sit down in front of my computer for probably 30 minutes to plan my meals for the week - and it saves us from hours of insanity prior to dinnertime! I first take a look at what we've got going that week, and plan my meals around that. I always pick one or two slow cooker meals and make those on days when we have plans to go out during the day, leaving the meals that take a bit more prep for days when I know we'll be home in the afternoon. Build A Menu puts together your grocery list for you, and also combines all your recipes into one document which can be printed off, and which you can always access retroactively. Meals we've tried and love so far include: Coconut Beef Stew, Salmon Quiche, Mexican Squash Ground Beef Casserole, and Slow Cooker Thai Chicken - and they taste as good as they sound! I know that with the Build A Menu meals I don't have to stress about special prep, and I can rest assured we'll be eating a tasty meal come five-thirty! This sounds like a great thing to try, Stephanie! Stopping by from Thrive@Home blog hop.. Building a menu and taking the time to do it is a life saver! Build A menu sounds good! I have heard that having a Menu site really does make a difference. My concern is paying for one that I really don't like the recipes for! I just need to buckle down and create a menu plan for myself. This looks fairly inexpensive, though. I will have to check it out! Thanks for the tip!